In the traditional church calendar, All Saints’ Day and All Souls’ Day stand out in the month of November, set apart to remember the saints of the church and the souls of those who departed this world. It is fitting, then, that the modern church has set apart the month of November to remember and pray for the persecuted church, through the International Day of Prayer for the Persecuted Church (IDOP). IDOP is a time set apart for us to remember thousands of our Christian brothers and sisters around the world who suffer persecution, simply because they confess Jesus Christ as Lord. This year our focus includes the plight of Christians in India, who are suffering increasing persecution by militants who want a Hindu-only India. Visit link below for more resources and to download the new 7-minute Free to Follow video and make use of the prayers for India, as well as those for Nigeria and Azerbaijan. hope you will join Christians worldwide in praying for persecuted Christians this November. Please note that while Sunday, November 10, 2013, is the designated date for IDOP (November 3 in the UK and Ireland), you are free to choose another date if you wish. On the morning of 31 July, Catholics praying for the resolution of land disputes outside Notre Dame Cathedral in Ho Chi Minh City were forcibly removed and beaten by police and security agents. An unknown number of people praying outside the Cathedral’s main entrance, were dragged onto buses by police. Those who resisted were brutally beaten and had their mobile phones taken away. Following the assault, several people are being treated in hospital. In photographs of one young woman beaten by police, her face is swollen and bruised and her mouth filled with dried blood. The petitioners had reportedly come to the church from their homes in the South-eastern and South-western provinces to pray for the resolution of land disputes after their land and property was seized by the local authorities, according to reports posted on Dân Làm Báo, a Vietnamese-language blog. Despite having participated in dozens of lawsuits, the petitioners’ complaints have not been resolved. The unlawful confiscation of land is a significant problem in Vietnam, and one that directly affects the Catholic Church. In recent years, the Church has put forward claims for land and property confiscated in the 1950s. In 2008, peaceful protests and prayer vigils held by petitioners calling for land and property to be returned to the Church were brutally suppressed by police. Then in June 2012, the authorities in Nghe An Province attacked Catholics in Quy Chau District in an attempt to confiscate land owned by the church. A large group violently attacked parishioners, leaving several with serious cuts and bruises to their face and body. A briefing issued by Christian Solidarity Worldwide (CSW) in April 2012 tracked human rights violations against Catholic communities in 2012-2013. Violations included physical attacks on priests and laypersons, disruptions to religious services, destruction of property and damage to gravestones and sacred statues. Washington, D.C. — The U.S. Commission on International Religious Freedom (USCIRF), an independent federal advisory body created by the International Religious Freedom Act (IRFA) to monitor religious freedom abuses abroad, today released its 2013 Annual Report. The Report highlights the status of religious freedom globally and identifies those governments that are the most egregious violators. “The state of international religious freedom is increasingly dire due to the presence of forces that fuel instability. These forces include the rise of violent religious extremism coupled with the actions and inactions of governments. Extremists target religious minorities and dissenters from majority religious communities for violence, including physical assaults and even murder. Authoritarian governments also repress religious freedom through intricate webs of discriminatory rules, arbitrary requirements and draconian edicts,” said Dr. Katrina Lantos Swett, USCIRF’s Chair. The 2013 Annual Report recommends that the Secretary of State re-designate the following eight nations as “countries of particular concern” or CPCs: Burma, China, Eritrea, Iran, North Korea, Saudi Arabia, Sudan, and Uzbekistan. USCIRF finds that seven other countries meet the CPC threshold and should be so designated: Egypt, Iraq, Nigeria, Pakistan Tajikistan, Turkmenistan, and Vietnam. “The Annual Report ultimately is about people and how their governments treat them. Violations affect members of diverse religious communities around the world, be they Rohinghya Muslims in Burma, Coptic Christians in Egypt, Buddhists, Uighur Muslims and Falun Gong in China, Baha’is in Iran, Ahmadis and Christians in Pakistan, or Muslims in Islamic countries such as Saudi Arabia and Uzbekistan and in non-Muslim nations like Russia. We recommend that the White House adopt a whole-of-government strategy to guide U.S. religious freedom promotion and that Secretary of State Kerry promptly designate CPCs, before currently designated actions expire later this year,” said Lantos Swett. In Egypt, despite some progress during a turbulent political transition, the government has failed or been slow to protect from violence religious minorities, particularly Coptic Christians. 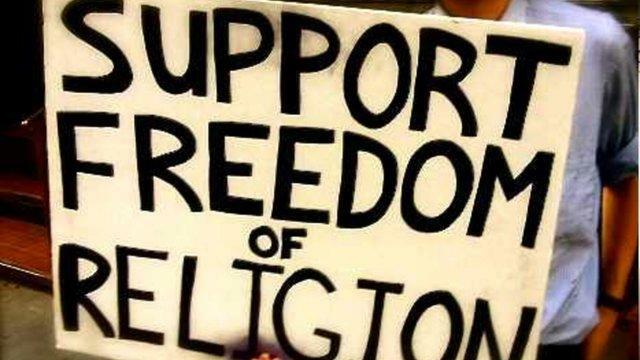 The government continues to prosecute, convict, and imprison individuals for “contempt” or “defamation” of religion, and the new constitution includes several problematic provisions relevant to religious freedom. In both Pakistan and Nigeria, religious extremism and impunity have factored into unprecedented levels of violence that threaten the long-term viability of both nations. Targeted violence against Shi’i Muslims in Pakistan is pervasive, while repeated Boko Haram attacks in Nigeria exacerbate sectarian tensions. “Many of these countries top the U.S. foreign policy agenda, and religion is a core component in their makeup. Successful U.S. foreign policy recognizes the critical role religious freedom plays in each of these nations and prioritizes accordingly. Religious freedom is both a pivotal human right under international law and a key factor that helps determine whether a nation experiences stability or chaos,” said Lantos Swett. USCIRF also announced the placement of eight nations on its Tier 2 List for 2013. The Tier 2 category replaces the Watch List designation USCIRF previously used. These nations are: Afghanistan, Azerbaijan, Cuba, India, Indonesia, Kazakhstan, Laos and Russia. USCIRF found the violations these governments engage in or tolerate are particularly severe, and meet at least one criterion, but not all, of IRFA’s three-fold “systematic, ongoing, egregious” CPC standard. In Russia, religious freedom conditions suffered major setbacks in the context of growing human rights abuses. In Indonesia, the country’s rich tradition of religious tolerance and pluralism is seriously threatened by arrests of individuals the government considers religiously deviant and violence perpetrated by extremist groups. Federal and provincial officials, police, courts, and religious leaders often tolerate and abet the conduct of religious freedom abusers. 4.24.2013- Christian lawyer and human rights defender Nguyen Van Dai has spoken out about being barred from meeting with U.S. Deputy Assistant Secretary of State for Democracy, Human Rights and Labor, Dan Baer on April 13, 2013, when he visited Vietnam for the 17th U.S.-Vietnam Human Rights Dialogue. The U.S. Embassy in Hanoi sent Mr. Dai an invitation to meet with Deputy Assistant Secretary Baer, but Mr. Dai says that on Fri., April 12, a security officer phoned him and told him not to go to the Metropol Hotel for the meeting. Mr. Dai then relayed this order to the Embassy, who confirmed that the deputy minister of the Vietnamese Public Security Ministry had agreed that Mr. Baer could meet any Vietnamese citizen. 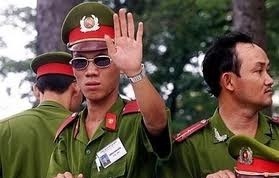 On April 13, the Embassy told Mr. Dai that the Vietnamese authorities had allowed him to go to the meeting. However, on the same day over 20 security officers and police came and blocked the way to Mr. Dai’s home. When a political officer from the Embassy tried to pick Mr. Dai up from his house that afternoon, security officers instructed 10 elderly women to block the officer’s car. Unable to reach Mr. Dai’s home, the officer had no option but to leave. According to Mr. Dai, approximately 10 of his supporters were arrested by security officers when they came to see what was happening. They were detained and questioned for five hours.